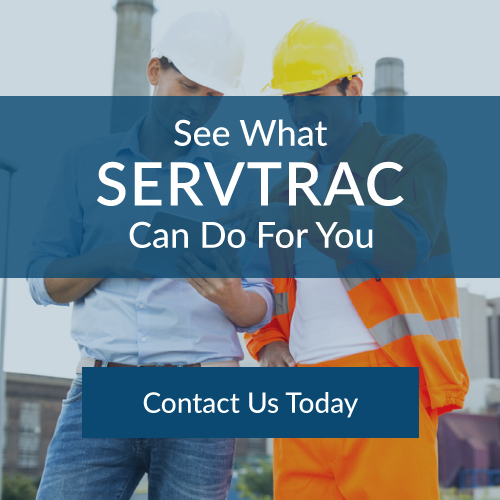 SERVTRAC® Field Service Management is delivered in the cloud as a SaaS (Software as a Service) application and is powered by Microsoft® Azure technologies which offer customers deployment options for public, private and hybrid cloud environments. SERVTRAC® SaaS provides notable savings by eliminating the upfront cost of software license purchase/installation, as well as, ongoing costs such as software maintenance and upgrades. SaaS applications deployed in the Azure Cloud are easily accessed and maintained by the customer, eliminating the need for capital expenditures and additional IT human resources. Microsoft Azure’s PaaS (Platform as a Service) pay-as-you-go services can quickly scale up or down to match demand. Per-minute billing and a commitment to match competitor prices for popular infrastructure services like compute, storage and bandwidth mean you’re always getting an unbeatable price relative to performance, and you only pay for what you use. Microsoft Azure delivers a robust set of security technologies and practices. These ensure the Azure infrastructure is resilient to attack and safeguards user access to the Azure environment. Customer data is kept secure through encrypted communications, as well as, threat management and mitigation practices, including regular penetration testing. In addition, Azure customer’s benefit from Microsoft’s enterprise grade Service Level Agreements (SLAs) on services, 24/7 tech support, and around-the-clock service health monitoring. Both SERVTRAC® SaaS and Azure Cloud offer pay-as-you-go pricing models that allow businesses to pay for only what they are using. SaaS can be especially advantageous for small and medium-sized businesses because it provides access to high-value software that might have been otherwise unobtainable through conventional purchasing methods. Furthermore, since SERVTRAC® SaaS is a subscription-based usage method it eliminates the extreme financial risk of expensive software. For more information on SERVTRAC® SaaS and/or Microsoft Azure Cloud technologies contact us today.